【Namhansanseong Provincial Park [UNESCO World Heritage]】surrounds Namhansanseong Fortress, one of four forts built to protect Hanyang (the former name of Seoul). Gaeseong, Suwon, Ganghwa and Gwangju are located in the north, south, west, and east direction respectively. Namhansanseong Fortress is located to the east in Gwangju. 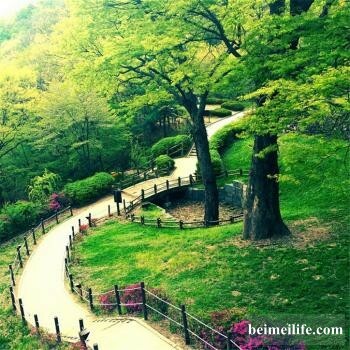 The park is situated on Namhansan Mountain, 24km southeast from Seoul and 6km northeast from Seongnam. The length of trails is a total of approximately 12.4 km (main fortress 8.9km, external fortress 3.2km, Sinnamsanseong Fortress 0.2km). The height is 7.3m. 【Lotte World】is the perfect spot for entertainment and sightseeing for Koreans and international tourists alike. It is a theme park filled with thrilling rides, an ice rink and different kinds of parades, as well as a folk museum, a lake, accommodations, department stores and more. Lotte World is divided into Lotte World Adventure, a world themed indoor area, and Magic Island theme outdoors, next to Seokchonhosu Lake.